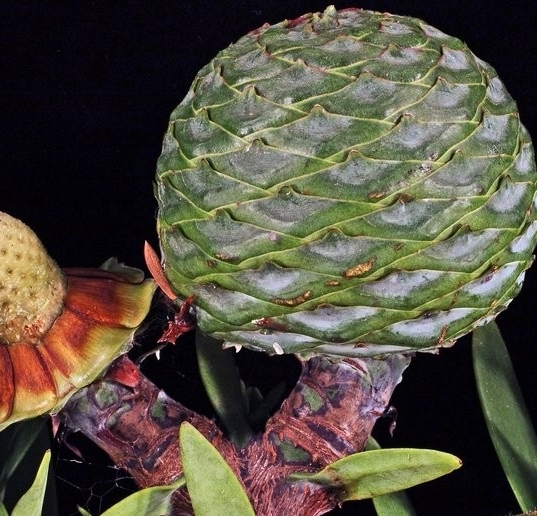 Agathis australis, kauri - Mature seed cones are spherical, woody and 5-8 cm diam. and contain hundreds of fertile scales (right). As the cone dries out, the the fertile scales with seeds drop off leaving just the central axis (left). 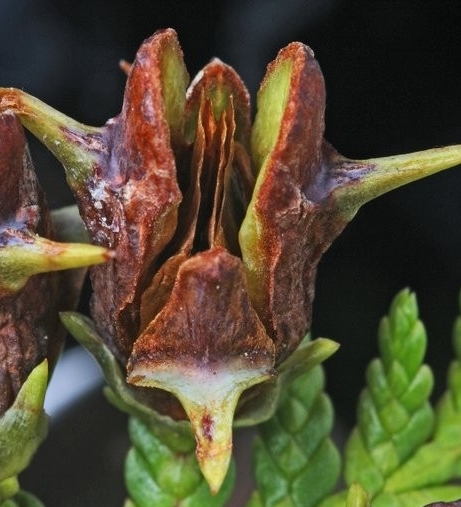 Libocedrus plumosa, kawaka - The seed cones are ovoid, woody and 1-1.5 cm long and contain four fertile scales each bearing a single spine. When ripe, the cone opens releasing the winged seeds. The cones of this family of native conifers are very small and reduced to a few ovule-bearing scales. 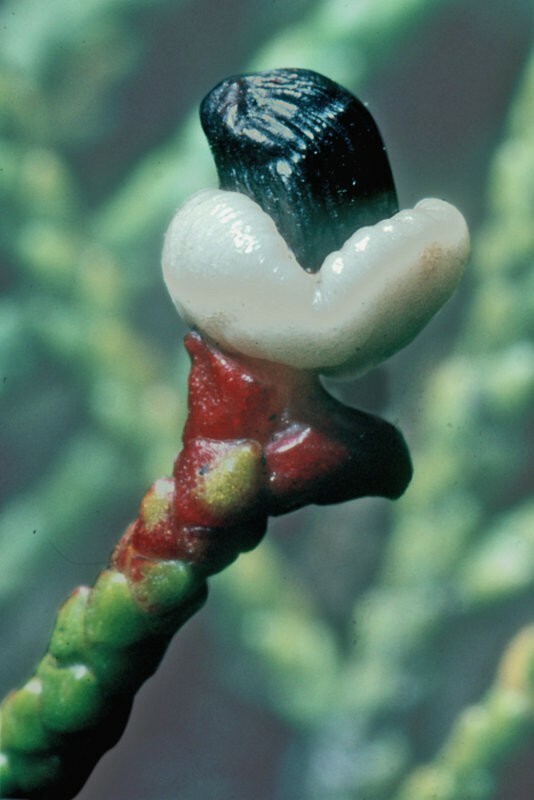 Fleshy tissue is derived from either the epimatium (fused cone scale and seed covering or integument) or derived from the stalk (receptacle) below the seed. Prumnopitys ferruginea, miro- The single seed is wrapped in flesh (epimatium) derived from a cone scale and integument. 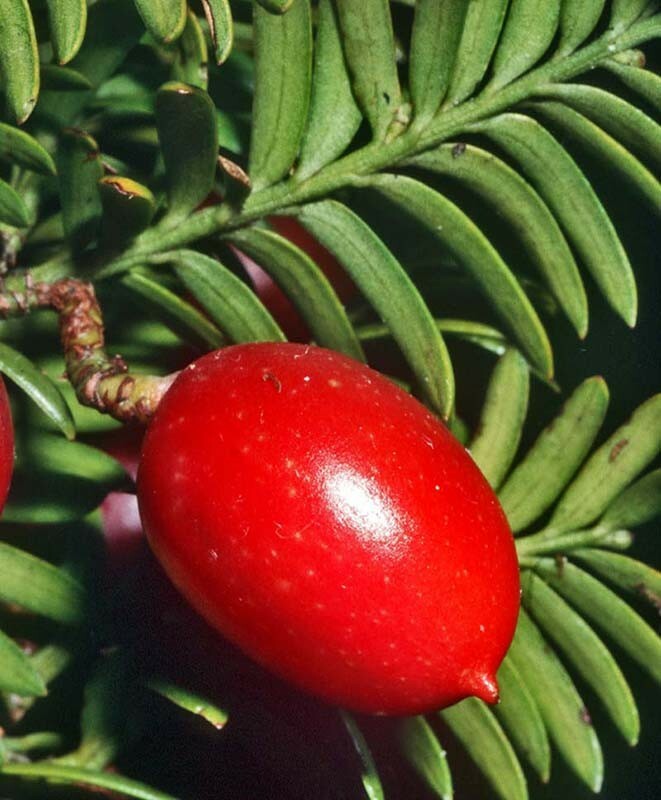 Podocarpus totara, totara - The seed is exposed at the tip of a red fleshy receptacle. 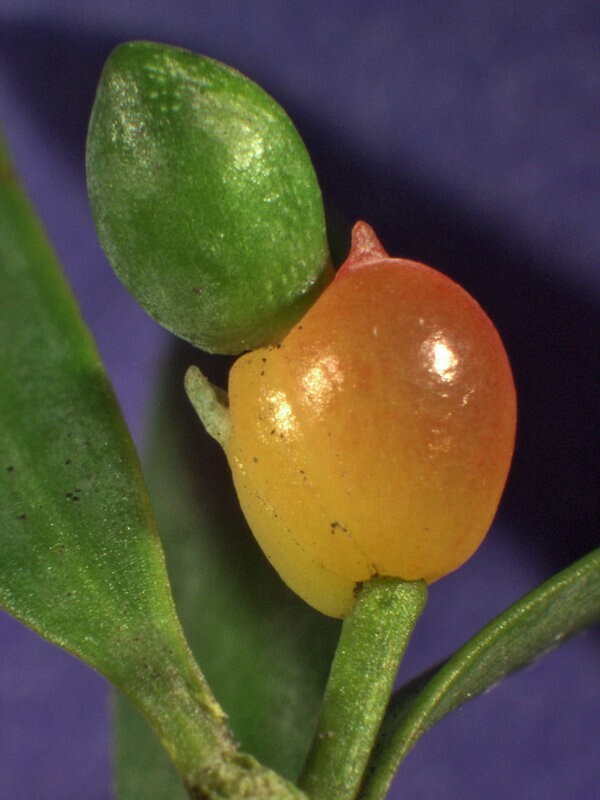 Halocarpus bidwillii, bog pine - The exposed seed is nestled in a white fleshy receptacle.